In Limerick, a group of sixteen local volunteers have joined together to prevent suicide. 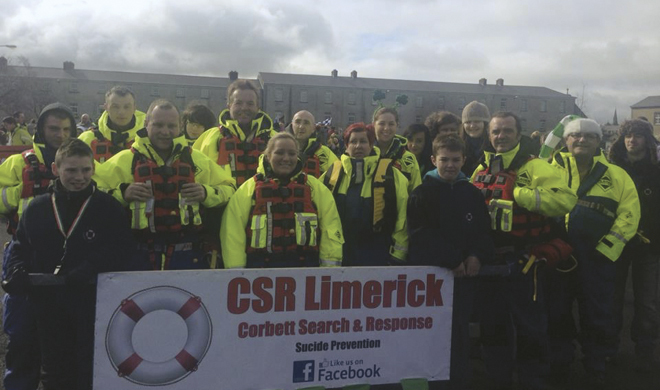 Over the last ten months, the CSR Suicide Prevention Team has been patrolling the River Shannon and four bridges in Limerick to rescue people who would otherwise attempt to throw themselves into the water. The volunteers patrol every Saturday from midnight to 5 a.m. and recently began patrolling on week nights. They have met as many as four people contemplating suicide on some nights and have had to physically restrain some people from jumping. Over Christmas holidays in 2011, twelve people jumped to their deaths in Limerick City, but thanks to the patrols, only one person did so during the same period in 2012. A new study carried out by Prof. Kevin Malone of University College Dublin’s school of medicine and St. Vincent’s Hospital found that alcohol, mental illness, and bullying all contribute to suicide among young people. The study, which involved interviews with suicide victims’ families, found that many of the victims encountered difficulties or a lack of proper care from health services or the police. Some were turned away from hospital emergency departments without being admitted for treatment, and some family members commented that the police did not seem trained to handle situations after a suicide. Of the 104 people in the study who committed suicide, almost two thirds had been diagnosed with a mental illness and 51 had abused alcohol within a year of their death. It costs 450 euros to equip and train each team member. They are advised on how best to speak to people contemplating suicide, and carry a flotation pad that can be used to rescue someone from the water. Each team member also wears a flotation suit with a lifejacket in case they have to enter the water. To learn more, make a donation, or apply to join the team, visit CSR Suicide Prevention Limerick on Facebook. Hi Guys,the news is…were up an running this fri. night.Its been a long time waiting to getall in order ie nothing from the Politicians.An incident sparked this on sun evening when Ken o Sullivan noticed a woman on the Rocks at Silver strand, kept her suffiently long enough to call 999and they arrived in quick time.A real success story thank God. The waiting is now over and its our time.Are ye on Fbook ?Best Martin Nolan.